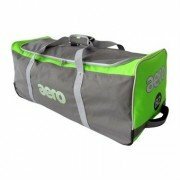 Aero Cricket bags are some of the best selling bags not just because of their quality, but also the design where they stand on their end in the cricket changing room. The range has extended for the new cricket season and Aero have kept space with leading cricket bags manufacturers. In fact the Aero Stand Up Tour bag is three bags in one with a kit bag, a take home bag and a toiletry bag. 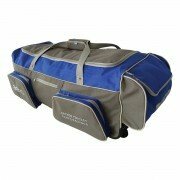 All the bags have a multitude of pockets and separate spaces for cricket bats, cricket shoes and more. The bags have been improved yet further making them lighter and easier to transport with a long handle so the bags seem like simply transporting a small suitcase. 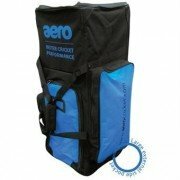 Aero Cricket Bags are certainly one of the most popular cricket bags at All Rounder Cricket.